I was born in and raised in Adelaide, South Australia. 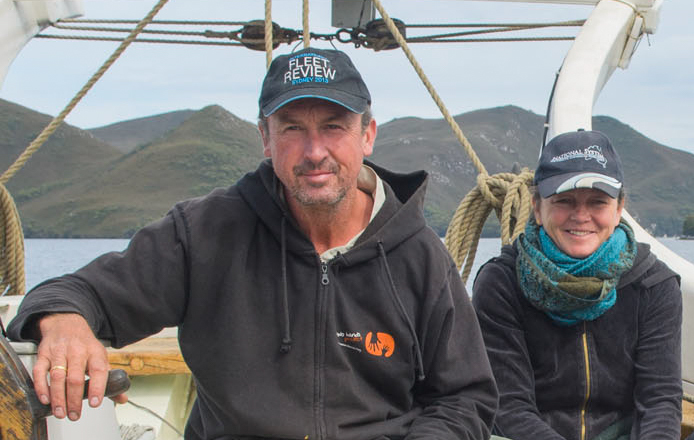 Ever since I was a child I have been interested in working wood, sailing and travelling: at 16 I started training as a shipwright and was involved in the construction of the South Australia’s sail training ship the One And All. My first major voyage was as ships carpenter and deckhand aboard the Bounty replica sailing from Australia to England and returning to Australia to celebrate the 200th anniversary of the arrival of the first fleet. Other voyages followed including a 3 year stint on the One And All, work in the offshore oil and gas industry and on moving to Denmark in 1996 purchase of the good ship YUKON. I was born I Godthaab, Greenland and raised in mid Jutland. Ever since I was a teenager, I have dreamt of sailing. I have travelled widely including a motorcycle journey to Syria and back home to Denmark and following my graduation as a social worker started sailing onboard the two masted schooner Brita Leth which not only functions as a charter vessel but also provides social help for youngsters. In this capacity I have made many sailing voyages including the West Indies onboard the Finnish built ketch Saga. We met each other naturally enough on board a ship and quickly found our common interest and energy was suited to carry on our life’s ambitions together. Trainees and deckhands grew up and raised on Yukon. After sailing charter in Scandinavia for five years, Yukon embarked on her voyage to Australia in 2010. This was the result of years of work, restoring and grooming the vessel for such an epic voyage. 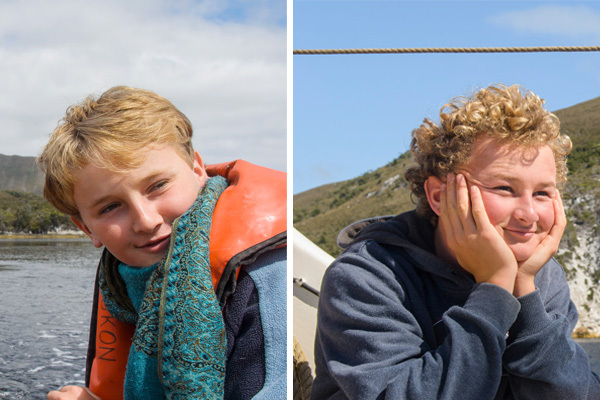 We were motivated by the opportunity to share the joys of ocean cruising with our two young sons and voyage crew. Yukon now is registered and surveyed as a commercial vessel in Australia and has Tasmanian Parks and Wildlife commercial vessel status. This enables Yukon to operate in places like Maria Island, Freycinet Peninsula, the legendary Port Davey and Bathurst Harbor, deep in the heart of Tasmania’s world heritage reserve. We look forward to sharing some sailing adventures with you too.